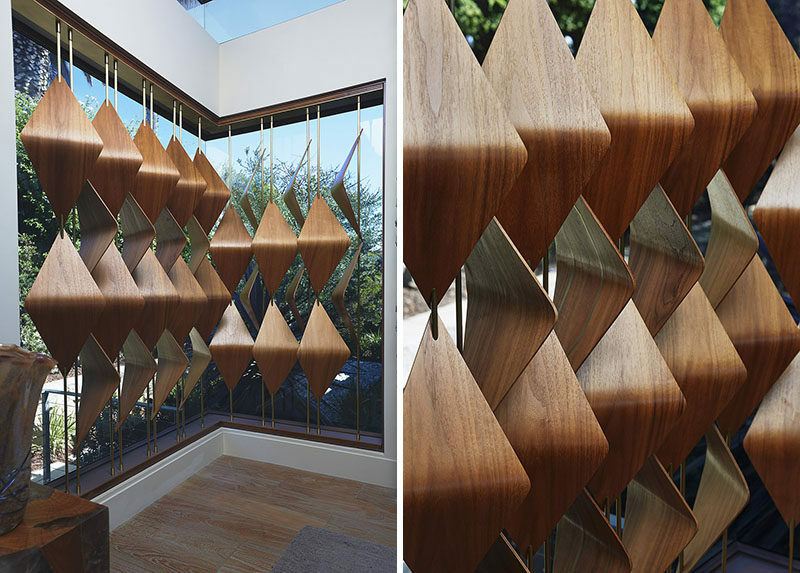 The Walnut Window Shades designed by Elish Warlop Design Studio, use 3 dimensional tessellations which create a flat form. 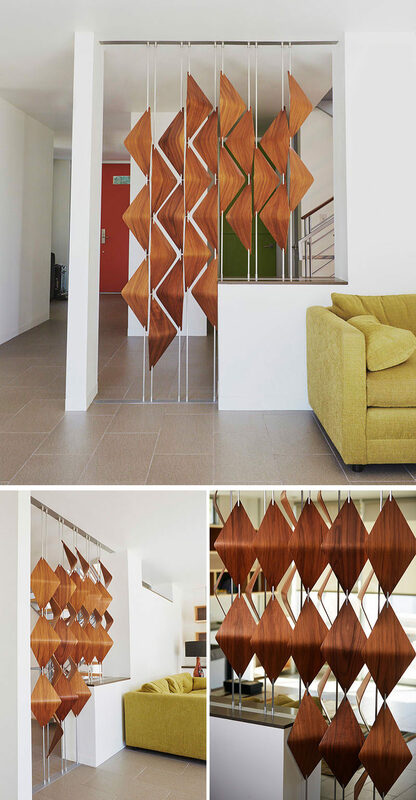 Whether it’s the sky or a different room, these shades hide and reveal what is behind them with the rotation of each bar. 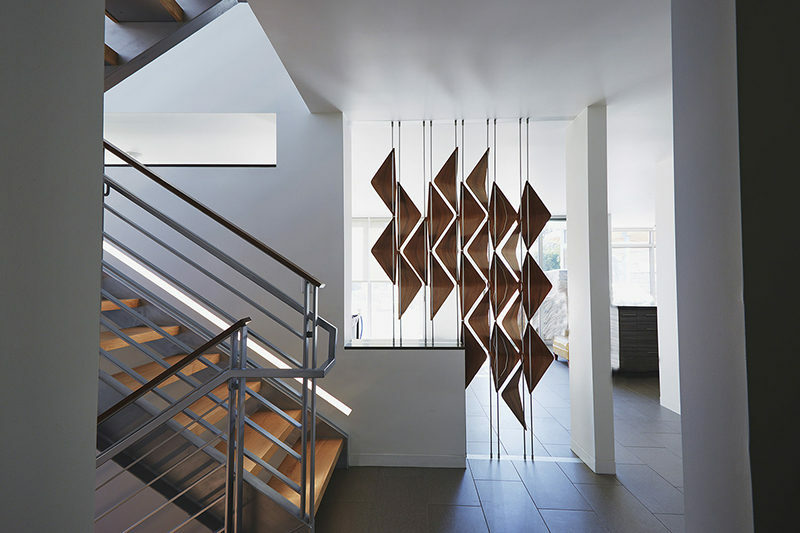 Unique in shape and color, the sculptural walnut shades cast intricate shadows, and stand out among light colored walls. 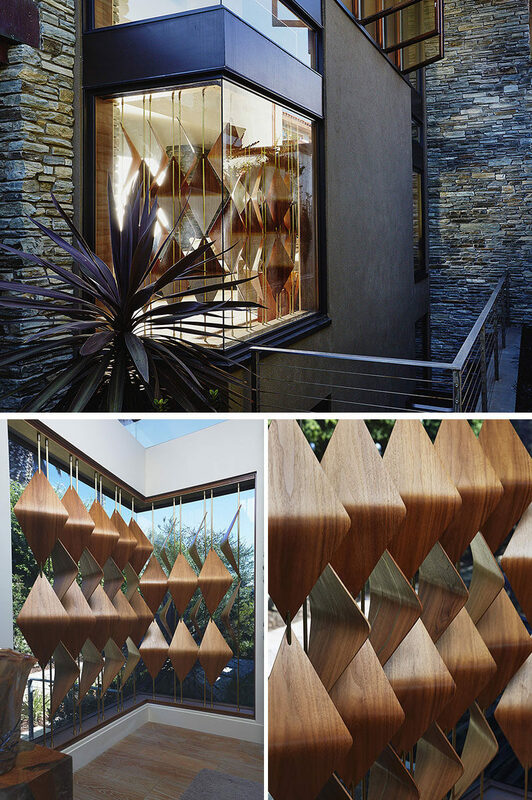 The shades, that are almost two feet in length, are held in place with a simple frame of brass and steel, and can be used to connect or divide spaces by rotating the bars holding them in place. 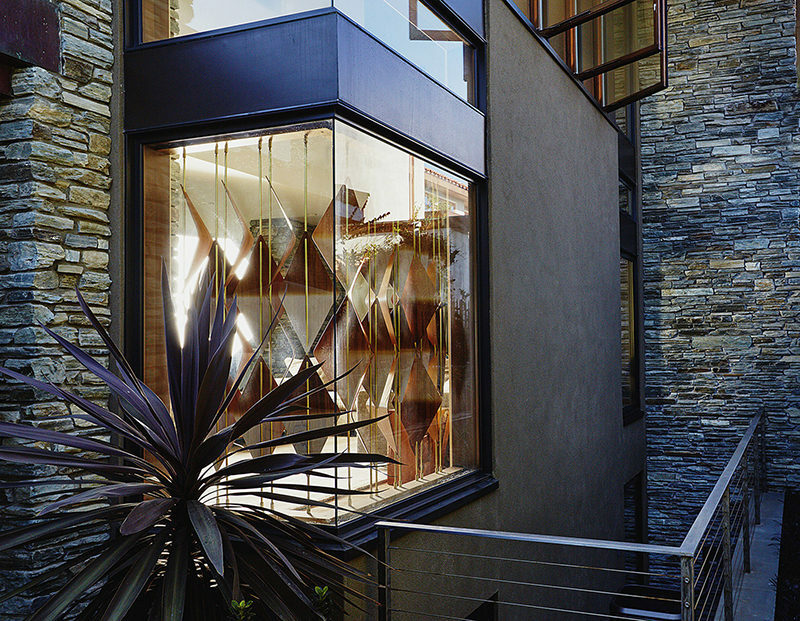 The shades can also add an artistic look when situated in front of a window, creating an extra dimension to the window frame, and at the same time, hiding the interior view from people walking by.